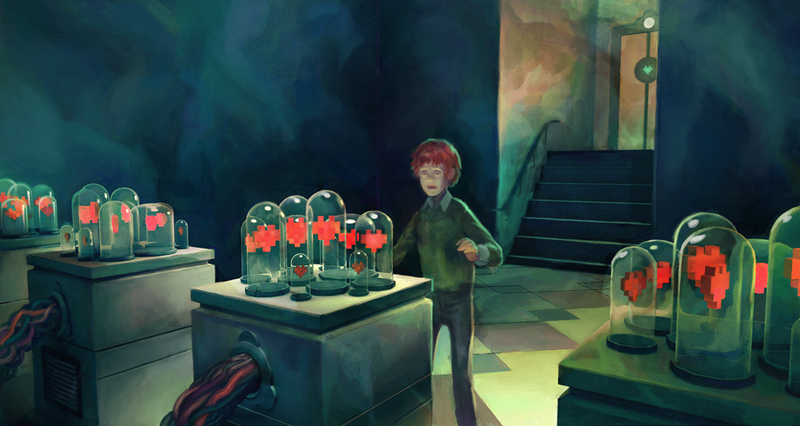 A boy stumbles into a chamber where dozens upon dozens of hearts are being kept. Is it the lair of a romantic mad scientist? Or has the boy stumbled upon a host of extra lives? This pieces is by concept artist Brun Croes, via Concept Art World. Incidentally, Croes recently released a video tutorial, Sketch to Illustration Techniques, which is available from Tokkun Academy. As always, we invite you to come up with a story inspired by the picture above and post it in the comments.